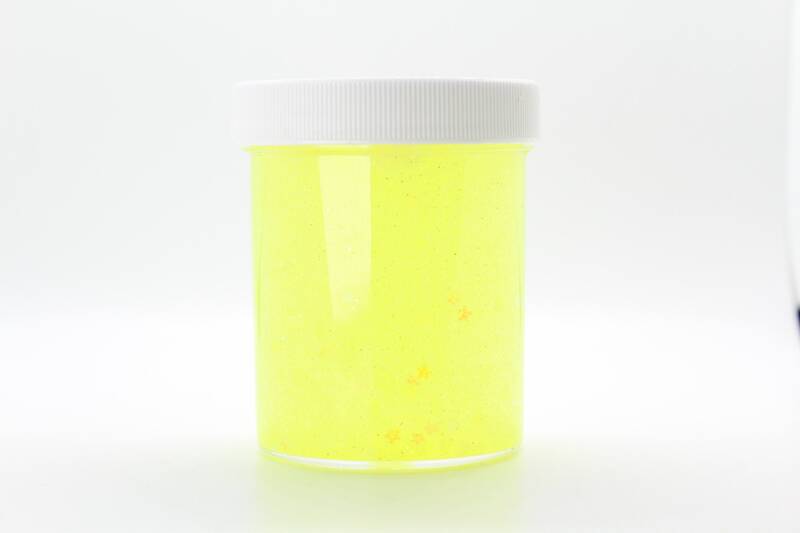 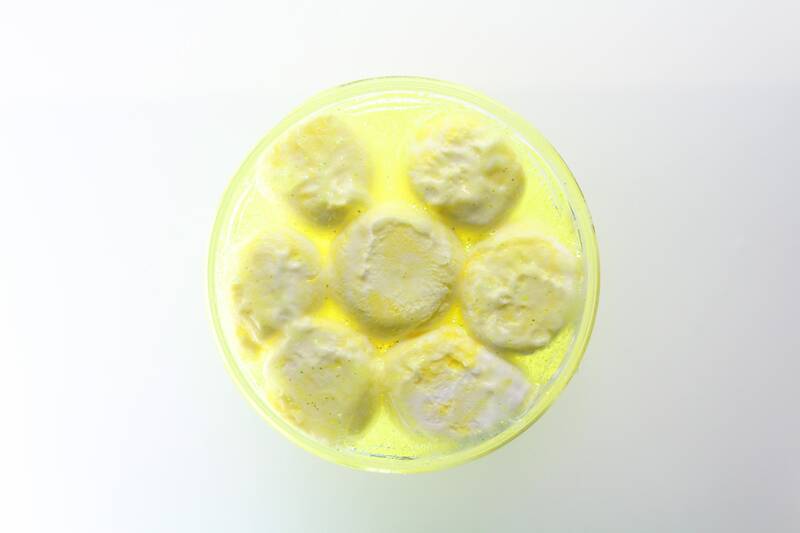 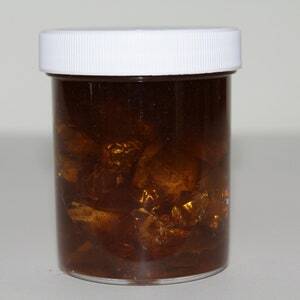 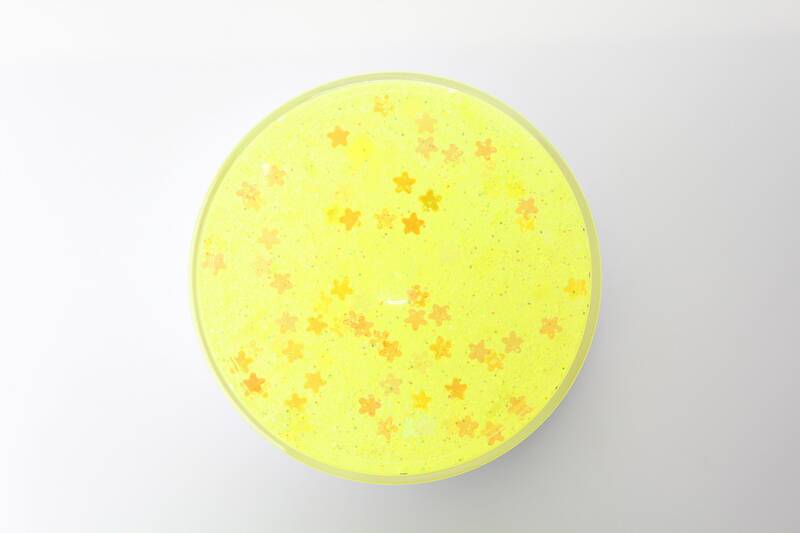 This slime is a yellow clear slime with star and yellow glitters in it, with clay balls on top. 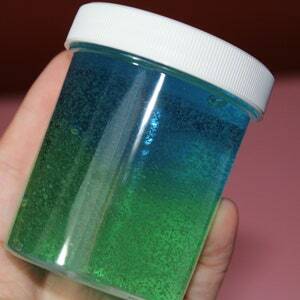 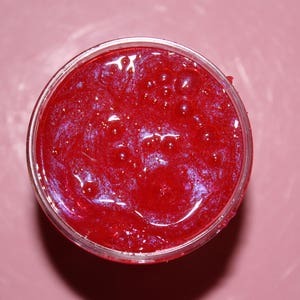 This slime turns into a unique texture once mixed. 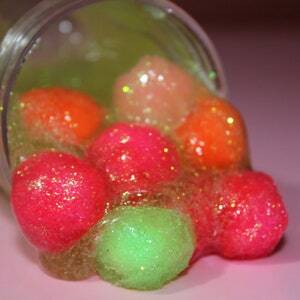 This slime is so much fun to mix and play with.